Ah, those huge granite rocks. It was love at first sight. I am definitely coming back, but next time probably to Praslin or La Digue. So I am expecting a small change here, because I heard they are even more gorgeous than Mahe! I’ve done it twice and it was not enough. Those wonderful US National parks can leave you speechless for days. It is a long road trip though, so it takes time and a lot of driving. But it’s worth it. And all those gorgeous cliffs and bays along the Highway 1 from San Francisco to San Diego… yep, I am definitely coming back! Because Maldives NEVER disappoint and it doesn’t take much to pick a perfect spot for hassle free vacation. When I want to get away from everything, and don’t want any negative surprises, Maldives are always a good choice. I just hope they won’t disappear too soon. Speaking of getting away from all the hustle and bustle, here is also Alaska. Not as a country (it’s actually not much of a country, to be honest), or as an “ordinary” vacation destination. Alaska is more about wonderful landscapes and wildlife, and if you are a nature lover this is the place to be. It deserves a special category in my favorite travels’ list and I wonder what it will take to beat this beauty. I am actually thinking of visiting Alaska once more, but it’s too damn far away. Well, this is a tough one. It depends on a lot of things: is it a surprise getaway, is it with a special purpose (like anniversary), is it a place where you feel the most comfortable, is it a place where you fell in love…? a lot of “ifs”. But if I had to shoot, I’d say my favorite romantic getaway was visiting Taj Mahal. The story behind this magnificent piece of art is as romantic as it gets. And so is the building itself. I have visited in on my 40th birthday, so it also has a special place in my heart. 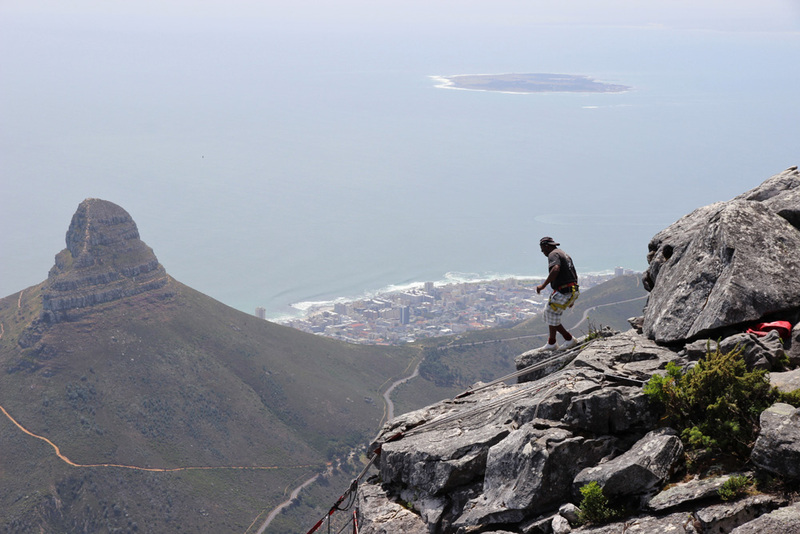 Cape Town is South Africa’s most popular tourist destination – and for good reason. There’s so much to see and do in this city that you’ll never be lost for things to do. I have done some quick research and the following reasons to visit Cape Town have convinced me to immediately add this capital to my travel bucket list. You get a lot for your money in Cape Town. Accommodation can be expensive in the centre (as it is in most cities), but if you’re willing to venture out you’ll find plenty of bargains. In fact, you may be able to afford an upmarket apartment for your vacation if you’re willing to stay on the outskirts. Meanwhile, public transport is very affordable and there are lots of cheap places to eat and drink. South Africa’s capital is also blessed with some beautiful beaches, which consist of large stretches of white sand (yay!). If you’re looking to catch a tan and mingle with the rich and trendy, the Atlantic Seaboard Beaches are the place to go. For a calmer setting with less crowds, the False Bay Beaches are a good choice. As for those that love their surfing, your best option is the Table Bay beaches where the waves attract people from around the world. South Africa’s year-round warm weather means that a trip to beach is always worthwhile. You can also spot various wildlife including penguins, seals and even sharks (but don’t worry – most the touristy beaches are shark-free). There’s also a rich history to Cape Town for those that want a more cultural trip. Castle of Good Hope is one of the most popular historical attractions – this castle was built in the 1600s and is one of the oldest colonial structures in South Africa. For a modern historical sight, the prison of Robben Island is well worth a visit – here you can visit Nelson Mandela’s jail cell and take organised tours led by former inmates. There are meanwhile plenty of museums in the city for exploring Cape Town’s past including Iziko South African Museum (great for dinosaur lovers) and Cape Town Holocaust Centre (a humbling look into the genocide that once took place). The area around Cape Town is popular for wine growing and produces some of South Africa’s most famous and popular wines. Franschoek and Stellenbosch are two of the best regions in the area. There are plenty of opportunities for wine tasting, as well as vineyard tours for those that want to learn about the creation process behind these wines. Best thing to do is rent a car and organise your own handpicked tour of the vineyards. Cape Town is also an excellent city for foodies. It’s prime location on the former Dutch East India Company Spice Route helped the city to develop a number of unique spiced dishes such as biltong and boerewors. The markets are a great place to eat authentic South African food on the cheap, however there are also plenty of restaurants for those that want to treat themselves to some fine dining. There are also many other cosmopolitan flavours to be had in Cape Town from Chinese food to Italian. Famous places to eat in Cape Town include The Test Kitchen, Pot Luck Club and Bistro Bizerca Signal. There are many natural sights to be found on the outskirts of Cape Town. Table Mountain is the most iconic of these natural sights – the 1055m mountain towers over the city and offers incredible views from its peak. You can take a two hour hike up it or you can take a more leisurely cable car ride. Adrenaline junkies can even abseil down the mountain! At last, but not the least, Cape Town also has plenty of places to shop. Long Street is one of the most popular destinations for shoppers – it’s long had a bohemian feel and is home to many unique fashion stores and book shops. The Victoria and Alfred Waterfront also offers a vibrant array of places to shop along with plenty of restaurants and bars to stop at when you get tired of shopping. On top of this the city has plenty of markets for buying traditional souvenirs such as ceramics and stylish handcrafted jewellery. Have I told you lately that I love Opatija riviera? Well, more exactly, I love the whole riviera from Rijeka till Mosceniska draga, for many reasons (I will tell you about it in a couple of days, the post is coming up soon). And I especially love Lovran, because it is quieter and less busy than Opatija, with some fantastic restaurants to enjoy the local Istrian cuisine. The only thing that is a bit disturbing in Lovran is the fact that most of the hotels are closed during low season, starting from November. So, I did some homework and I found this cute pet friendly hotel, rising above the coastline overlooking the Adriatic sea. Boutique hotel Acacia in Lovran is well worth the visit, and here are the reasons why. Boutique hotel Acacia lies in the very end of Lovran, an easy 1 kilometer walk from the town center. Trust me, you will want to stretch your legs, and you don’t want to look for a parking space in Lovran – they are very limited (or payable), especially during the high season. For us it was very convenient because we had a very good dinner in the old town, accompanied with too much wine so we were actually happy to enjoy the short walk to “clear our thoughts” before going to bed  The hotel has a lot of parking lots, so no worries for that as well. Boutique hotel Acacia has 8 very comfortable and carefully designed rooms. You can really tell the furniture is “fresh”, as the hotel started operating in June 2018. The bathroom is modern and very spacious, offering a rain shower as well as a bathtub, a large sink and all amenities needed for a stress-free vacation (bathrobes and slippers included!). The thing I enjoyed the most was a fantastic sea view with balcony where you can have your morning tea/coffee (complimentary coffee machine in the room) or evening glass of wine. Just keep in mind that the sea view is facing the street so the noise from the street cannot be avoided (didn’t bother us during the night at all though, we slept like babies!). The breakfast was wow as well, especially because we were lucky to enjoy it out in the terrace (it was pleasantly warm in the beginning of November). Also, it was more convenient since Sky was with us – we didn’t want her to disturb the other guests with her cute hungry eyes  The breakfast choice is definitely 4 stars, and it is all very “boutique” – you can see they really try hard to please their guests. Štanger restaurant is also popular for evening dining, and since the breakfast was that good, I dare to say their dinner menu will knock you down as well. Unfortunately, we had our dinner pre-arranged so we didn’t have the chance to try it but we will definitely come back for a proof. If you are staying in Lovran (or anywhere in Opatija riviera) you will probably want to have a swim in the Adriatic Sea. At least during the high season. Boutique hotel Acacia has a private beach just across the street, accessible via stairs. The beach itself is not as nice as some of the public places along the “Lungomare” (12 km path connecting Opatija and Lovran), but it is private (which for me is a BIG PLUS) and you can enjoy a good swim in the crystal-clear sea. Complimentary sunbeds are also provided. If you prefer sandy beach, just take a stroll around 500 meters towards Lovran center and you will find a cute little bay (which will probably be crowded in July or August). I have spoken with the hotel manager and they are planning to do some work around the beach until summer 2019, so this should be a big bonus for hotel guests! The spa is coming soon! The hotel owner has later informed me that they are in the process of building a spa with pool and fitness room, which should be finished before summer 2019. I am SO coming back again! Bottom line: We chose to stay in Boutique hotel Acacia in Lovran because it is adults only, pet friendly (they even offer dog bowls for food and water) and because it is close to Lovran old town which we love so much. I loved the fact that it is a “boutique hotel”, meaning you will always feel special and not just a number. If you want to enjoy a relaxing weekend, or if you are just passing by, I definitely recommend staying here. Zdaj, ko je večina med vami že kupila in prižgala sveče, bom pa še jaz primaknila svojih 5 centov na temo, ki je zadnje dni spet uspela razdeliti Slovenijo na dva pola. Se mi je zdelo fer, da počakam, ker res ne bi želela v komu zbuditi slabe vesti pri tako intimnem dejanju, kot je obujanje spomina na bližnje. Ampak ne bom razglabljala o tem, kako jaz žalujem ob svojih izgubah in na kak način se kosmatega bitjeca in ljubih oseb, ki jih ni več med nami, spominjam vsak dan. Ja, vsak dan. Verjetno še najmanj ravno na prvi november, saj sem bila vedno malce uporniška. Tudi ne bom razglabljala o tem, kako daleč sega tradicija prižiganja sveč in kakšne »barve« je ta običaj. Mimogrede, ljudem, ki tudi v tem vidijo priložnost delitve na »bele in rdeče«, pošiljam en velik objem in upam, da globoko v sebi vseeno vedo, da barve niso pravi izvor njihovega nezadovoljstva. Upanje umre zadnje, pravijo. Prav tako se ne bom spuščala v podrobnosti, kje in kako naj bi se reciklirale sveče. Sicer sem mnenja, da vsaka reciklaža za sabo potegne nove posledice za okolje in ljudi, lahko pa se seveda motim. Za raziskave, analize in interpretacijo dejstev so tu strokovnjaki, ki jim je pač treba zaupati. Bom pa pristavila svoj lonček na temo nerazgradljivih in okolju škodljivih odpadkov, kamor, verjetno, sodijo tudi sveče. V različnih »argumentih« v prid kupovanju sveč sem namreč prebrala številne zaskrbljujoče komentarje, ki gotovo ne vodijo v konstruktivno razpravo in odgovorno ravnanje do narave. Tako sem, naprimer, v enem izmed zapisov zasledila poziv, da je prižiganje sveč naša tradicija in naj vendarle pustimo ljudem, da žalujejo po svoje. Nekdo drug je zapisal, da sveče niso naš največji problem, saj vsak dan zavržemo na tone plastike in kemikalij. Spet tretji je komentiral, da so naši »grehi« v primerjavi z Indijo ali Kitajsko pljunek v morje. Ko zmanjka razumnih argumentov, pa večina pristavi, da smo na temo varovanja okolja tako in tako najglasnejši tisti, ki vsakodnevno uporabljamo avtomobile ali potujemo z letali. Žal moram priznati, da se v kontekstu odgovornega ravnanja do okolja nikakor ne morem šteti za vzor. Res je, skoraj vsak dan se vozim z avtomobilom, saj nimam te sreče, da bi živela v bližini svoje službe (verjemite, da bi mnogo raje hodila peš kot zapravljala čas in živce za vožnjo). Res je, kar precej potujem z letalom, a je več kot polovica teh poti službenih. V našem poslu je pač tako, da se pogodbe še vedno sklepajo z ljudmi, ne z računalniki. In res je tudi to, da včasih kakšno stvar odvržem v »splošne« smeti samo zato, ker se mi ne da ukvarjati s tem, kam sodi. In ravno zato, ker vem, da je težko spremeniti miselnost, kaj šele dejanja, se trudim, da drugih ne obsojam preveč. Želim si le, da bi se namesto medsebojnega obtoževanja in izgovorov tipa »drugi so še hujši«, raje večkrat vprašali, zakaj ne bi bili boljši. In da se, vsaj na področju odgovornega ravnanja do okolja, ne bi želeli primerjati z Indijci ali Kitajci. Želim si, da bi vsak prispeval toliko, kot lahko in toliko, kot mu dovoli vest. Naj bodo to plastenke, sveče, slamice, plastične vrečke ali pa vožnja z avtomobilom in čezmerno ogrevanje. Dejstvo je namreč, da se spremembe dogajajo in to hitreje, kot si lahko mislimo. Pred dnevi sem v pogovorni oddaji na Val 202 zasledila, da ima že 90% morskih ptic v želodcu plastiko. Da se je amazonski deževni gozd v zadnjih desetletjih skrčil za več kot 20% (tudi na račun živinoreje, ki je menda ena izmed največjih onesnaževalk okolja). O tem, da se ledeniki talijo in da živalske vrste izginjajo pa tako in tako poslušamo praktično vsak dan. Večina med nami za časa našega življenja morda res ne bo deležna neposrednih vplivov posledic globalnega segrevanja, a to še ne pomeni, da se ne dogajajo. Mimogrede, ste si že ogledali kratek videoposnetek z naslovom “Nature is speaking”, za katerega glas je prispevala Julia Roberts? Če ne, ogled toplo priporočam. Če ja, si ga oglejte še enkrat. »I don’t really need people. But people need me«, pravi narava. Kaj pa pravite vi? Vam je res vseeno? Tudi za vaše otroke?